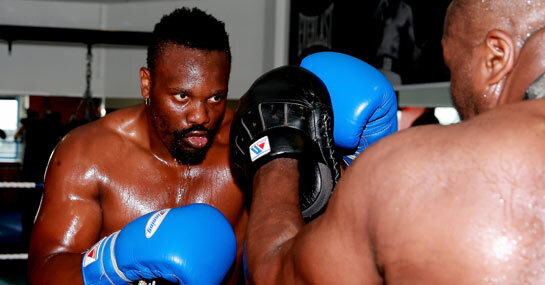 Chisora to beat Johnson is one of five selections you don’t want to miss out on! Dereck Chisora and Tyson Fury could both move one step closer to facing each other once again in a British heavyweight showdown should they overcome their respective opponents in their upcoming bouts. The former of the pair takes on former world title challenger Kevin Johnson, an obdurate but ultimately limited opponent who Del Boy should eventually overcome. Aside from putting our faith in Chisora, our news team have scoured this weekend’s sporting calendar to find these little gems. Combined, they pay a tasty £5290 from a £10 stake with Ladbrokes. OK, you might not get rich by simply backing the London fighter to grind down his American opponent but given the facts available it’s difficult to argue against this selection bearing fruit. Chisora’s (19-4) path to redemption following his defeat to David Haye has seen the former British and Commonwealth heavyweight champion deliver four successive knockout victories. But the cagey Johnson (29-4-1) is a different animal to those recent foes, and with an 8” reach advantage will look to use his jab to keep Chisora at bay and simply survive in the ring. He managed to do so for 12 rounds against Vitali Klitschko and has also gone the distance with Tyson Fury before. Don’t expect Chisora to better the pair’s efforts. Bluebirds boss Ole Gunnar Solskjaer is yet to see his tenure really spark into life and the Welsh side look vulnerable against Championship Wigan Athletic. The holders are a fair shout to cause an upset in this FA Cup Fifth Round tie having already dispatched of Premier League opposition in the shape of Crystal Palace in this year’s competition. And their fine record against the hosts makes for ominous reading if you’re a Cardiff fan. Undefeated in their last 10 meetings, Wigan could be on the march to Wembley again should Solsjkaer’s outfit let the focus on their Premier League struggle detract from their cup commitments. Goals are on the menu at the Olympic Stadium when Hertha Berlin host Wolfsburg, however the hosts will probably left pointless come the final whistle. The previous seven meetings between these two sides have produced 27 goals in total and Die Wolfe will be confident of adding to that tally as they bid to secure a fourth straight away win over the team from the capital. Added to that, Wolfsburg have managed to notch 11 goals in their last three outings and will be in no mood to provide Hertha with any respite. Hull FC kick-off this year’s Super League campaign with the visit of the Catalan Dragons, a team they’ve beaten in four of their last five meetings. Victories by an average of over 15 points have been achieved during that sequence with last term’s double over the French outfit secured by margins of 10 and 11 points respectively. Opting for the more conservative eight-point head-start should reap rewards with the re-signed prop Garreth Carvell set to make his second debut for the Black and Whites. His experience will prove pivotal amongst a youthful side and help inflict a fourth defeat in their last five on the road for Catalans. Champion jockey AP McCoy is yet to win Haydock’s Grand National Trial but he’s certainly in with a chance of landing a maiden renewal win onboard Merry King. Wearing a visor for the first time helped the seven-year-old to a competitive third at the same track in the Peter Marsh Chase last time out. That was just under two lengths behind the re-opposing Wychwood’s Brook on similarly heavy ground with some smart types kept in his rear-view mirrors, including the withdrawn Sydney Paget. Given the Rathbarry Stud charge’s favourable weight compared to some of the other market principals another big run could be in store.